Ask fellow campers about "Washington State Park" and nearby attractions. Me and my father went at the end of May and it was great the we went hiking on found that the trails are beautiful. It was a great experience. The staff their was very nice but I wish that they were trained better because we asked about on of the trails and they didn't know anything about them. Other than that it is a pretty campground. (Especially in the Spring and Fall). The Bathrooms are very well maintained too. The other problem that we had was that the dump station was a little bit of a challenge to get to with our 24 foot trailer. The sites are great, they have a lot of room and are pretty flat. I do wish that their were water hook-ups. You get great views of nature and the woods though. HAVE FUN!!!!! We camped at Washington State Park in a Travel Trailer. Park only had about 4 walk up sites and the rest you need to reserve in advance. All the pads (that I noticed) were paved and mostly shaded. 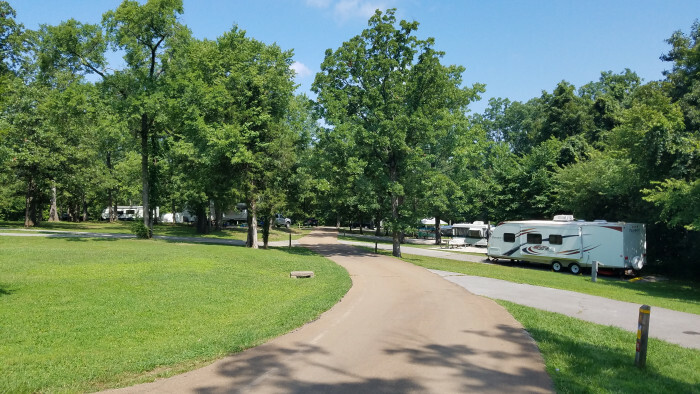 Not a big park but is well maintained and the camp hosts were very friendly. The park has a pool and has 1 river access (gets crowded on weekends) and a few nice trails (would be a nice hike in the fall). 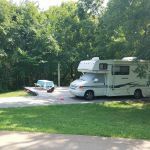 AT&T Cell service was excellent, did not detect any park WiFi and HD antenna picked up most channels (including FOX, CBS, NBC, PBS, CW and ABC) We camped at Washington State Park in a Travel Trailer. There is also a park store, with small restaurant and also a gas station and Dollar General right outside the park entrance. We came here because its close to home for us. 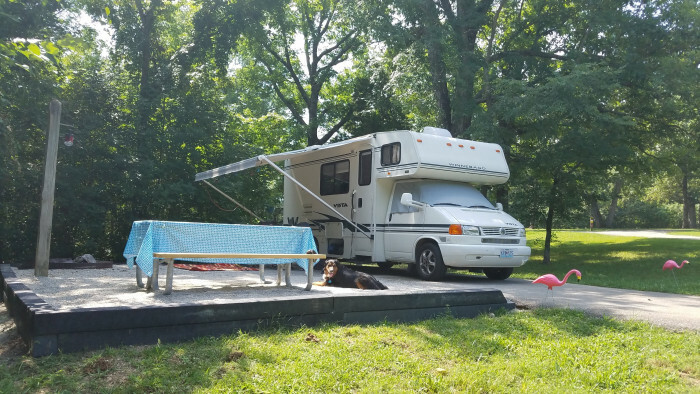 We just bought our first camper and wanted to try it out somewhere close to home. It was early in the season so most amenities were not available to us. I would come here again, and we well be back again in July. 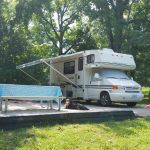 We camped at Washington State Park in a Travel Trailer. A great place. Nice people work here and it is quiet. Pretty area with good access and asphalt. All else is grass. Would not hesitate to return to this park. 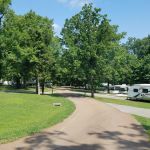 We camped at Washington State Park in a Travel Trailer. One of our favorites! Nice quiet family park. If hiking on the trails wear good sturdy shoes. 1000 step trail is literally 1000 steps but worth the view from the top. Bathrooms were clean but could use a little paint. Hosts were friendly, Park Rangers were around and available if needed. We camped at Washington State Park in a Travel Trailer. Very clean park. Nice shaded lots. Paved sites. Nearby petroglyphs and fishing. The town of Desoto is nearby if you need to run to the Wal-Mart for supplies or groceries. 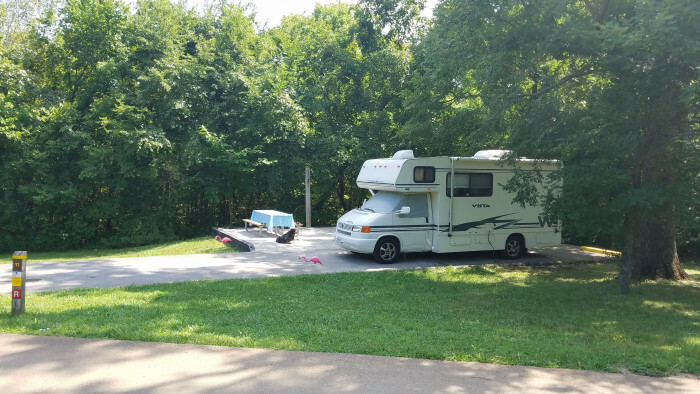 We camped at Washington State Park in a Travel Trailer. The pool is new. There is also river access for fishing/swimming/floating. Nice quite campground, nice trails for walking. The petroglyphs are very interesting especially for children. We camped at Washington State Park in a Travel Trailer. Are you affiliated with Washington State Park ?